You might recognize this as a quote from the captain of the RMS Titanic. Although spoken several years prior to the 1912 sinking of the Titanic, it certainly holds a powerful safety message. Since we should probably learn from history rather than repeat it, consider how we can benefit from Captain Smith’s misfortune. Being prepared for the worst can help prevent accidents and injuries from happening. Safety must be an active part of everyone’s job, and everyone should be engaged in activities that will reduce the likelihood of injuries taking place. Workplace safety is often overlooked or simply taken for granted. No worker wants to be injured, and no employer wants to be responsible for an employee injury. So it’s just “common sense” right? If it were only that simple. A worker who says “I’ve never been hurt” isn’t necessarily being proactive to prevent injuries, he’s simply recounting how lucky he’s been. Similar to the stock market where past performance is not an indicator of future returns, a good safety record is not a guarantee of employee safety. Complacency is the biggest threat to workplace safety. Organizational culture will make or break any safety program. Success comes with commitment to safety from every level. It starts with solid hiring practices that ensure the right people are brought into the workplace. It includes an orientation process that covers all safety rules, proper equipment use, emergency procedures, and how to make safety related suggestions or report unsafe conditions. Continual training and process improvement are also necessary to keep employees focused on personal safety and organizational safety success. A strong safety culture also includes proper leadership from the front line supervisors all the way up through the executive team. All organizational levels must understand the importance of safety and integrate it into their business goals. Employees must be held accountable for safe behaviors and management cannot let production push aside safe operations. It is truly a team effort from the top down. Breakdowns in communication or shortcuts taken to save time will only result in a sporadic and unpredictable injury cycle. Safety is manageable just like every other aspect of business. Be ready for emergencies and expect the unexpected. Captain Smith thought he was sailing an unsinkable ship. He was steaming too fast in an area where icebergs were common, had an inexperienced and overconfident crew, and didn’t have enough lifeboats for everyone aboard. This moment in history is important to consider as we apply workplace safety to our organizations. Make sure you are doing all you can to prevent injuries, that you have a well trained staff and that safety is a priority for everyone. By taking these proactive steps, the likelihood of injuries decreases and production will increase. Safety should not be an additional duty or seen as an expense item. Safety is a smart investment and it should be an integral part of everyone’s job! Boo! Are you scared? From the haunted houses that make your heart jump to the horror movies that make you want to hide behind your pillows, Halloween can get pretty spooky this time of year. But, just remember, that those goblins and ghosts that try to frighten you are all pretend. Or at least you hope so, right? Scary surprises are fun during this holiday, but the last thing you need is a surprise that wasn’t planned. Between hazardous electric wires strung on the exterior of your home to pumpkins getting in the way of your walkway, this holiday can get pretty dangerous – especially during the darkest hours of the night. Did you know that $12.9 million in direct property damage occurs each year in the U.S. on Halloween? Bob Lancaster Insurance wants to ensure that there are no scary mistakes for you during this time of year. Have no fear! There are precautions that you can take to make this Halloween safe and fun for everyone. These quick and easy tips will keep you prepared for any surprise that creep up on you. Are you planning on having the most decked out house on the block? That’s fun, but let’s not have a “Clark Griswold” Halloween. If you’re buying lights, make sure that you purchase outdoor lights and outdoor extension cords because they can withstand severe weather conditions. If you’re planning on using lights that you found sitting around in your garage, inspect them for broken bulbs or frayed wires. Don’t chance if the lights look broken – just throw them away and buy new ones. Most importantly, make sure the lights have a UL (Underwriters Laboratories) mark as this means they meet safety standards. 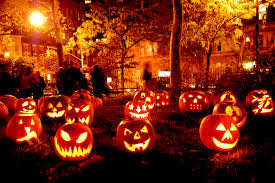 Did you know that 15% of injuries on Halloween are from lack of visibility in the dark? Whether you’re having guests over or you have trick-or-treaters knocking on your door, it’s crucial that the pathway to your home is clear and visible. Between the decorations on your lawn and the dark night, people can easily trip and fall. No one wants to be liable for an injury, so add a light or two on your walkway and clear the way. Candles might set the spooky mood, especially in jack-o-lanterns, but safety comes first. Use battery powered lights instead of real candles. They give the same effect without the dangerous risks. Better yet, set the Halloween mood with pumpkins, cob webs, and gravestones. Who needs candles anyway? Imagine this: A trick-or-treater slips and falls on your property. You’re panicking because you don’t know if you’re covered for slips or trips on your property. Call your insurance agent today to find out what’s covered under your policy before it’s too late. Don’t get too worried – Halloween will still be full of elaborate costumes, yummy candy and a whole lot of fun. It’s important to be aware of the dangers this holiday because you don’t want the fun to take a scary turn for the worst. Prepare now and reduce your risks later. With these tips and the proper coverage, you can feel confident when you gather your costumes and plann tricks that will scare your guests this Halloween. It’s all just a bunch of hocus pocus anyway, right? Mother nature has done it again… She brings in a strong natural disaster that damages your home or business that you’ve worked so hard on. With it being one of your largest assets, it’s your priority to get it fixed as soon as possible. You hop on a call with a contractor to have them assess the situation and give you an estimate of the cost. You know the insurance company will want one anyway, so why not get a head start. Well believe it or not “getting a head start” may sound like a simple process, but it could turn into a nightmare. The reason why you ask? Assignment of benefits. Assignment of benefits is a legal document that allows a third party to be paid for certain services that they do for an insured homeowner, in which the homeowner would normally be reimbursed by the insurance company directly after making a claim. Assignment of benefits (AOB) is commonly used when a homeowner experiences roof damage, a leaky pipe, a damaged appliance, etc. and they contact a contractor for assistance. Most Assignment of Benefits agreements presented to the homeowner allow the contractor to stand in the shoes of the homeowner for insurance collection purposes. This causes legal battles between the contractor and the insurance company leaving the homeowner left out of the picture. How to avoid an Assignment of Benefits (AOB). If the form says anything related to “I transfer and assign all insurance rights, benefits, and causes of action under my property insurance policy to the contractor” then you are probably signing an Assignment of Benefits. You are signing away your rights to the claim under your homeowner’s insurance policy. Educate yourself. If you experience a loss, be sure to contact your insurance company first, before doing anything else. This will help you avoid dealing with an AOB issue completely. If something sounds to good to be true, it probably is. Don’t be a victim of AOB. Contact your insurance agent or our offices if you have any questions or concerns if you need to sign any contracts. If you have a domestic employee, such as a gardener, housekeeper, or nanny, who drives his or her own auto while working for you, there is a potential for you to incur liability arising from their driving that would not be adequately insured. If your employee negligently causes an accident, you as the employer can be drawn into the lawsuit and held liable. Your employee’s own insurance, if any, will protect you up to its policy limits, but you are on your own after that. And your personal auto policy may not respond to cover the difference. The courts have ruled in different ways on these types of loss situations. For example, assume your housekeeper negligently injures someone in a serious accident in her own vehicle while out buying groceries for your household. Further assume she has low liability limits or even no auto liability insurance. If she is sued, the injured party may uncover information about you, her employer, and how her driving in this incident was related to her employment with you. As a result, your “deep pockets” may just get you named in the lawsuit. If you engage domestic employees or contract workers who may drive their vehicles in their work for you, the following tips may prove helpful. * Ask any employees or prospective employees to provide you a current copy of their driving record. The employee can order this online through http://www.dmv.org/driving-record.php. If they do not have a good driving history, do not allow them to run errands for you. * If the domestic employee has a good driving record and you ask her to occasionally use her own car to run errands, ask for a copy of her current auto policy and verify that it has at least moderate liability limits. * Ask your insurance agent to confirm with your auto insurance company underwriter that your Personal Auto policy will provide a defense and cover judgments in excess of your employee’s limits if you are ever named in one of these suits. If possible, get a copy of a letter from the underwriter. * If the domestic employee has an excellent driving record and a sterling employment history with you, consider having her use your auto to run errands to avoid any question that your Personal Auto policy will protect you if she negligently causes an accident while working for you. * Periodically review your employee’s driving record and auto insurance policy. * Consider procuring a personal umbrella policy that will normally follow form over the Personal Auto policy. However, if the loss is not covered under your auto policy but is covered under the umbrella form, you would only be responsible for the retained limit or deductible amount, which ranges from $250 to $1,000. DUA provides temporary payments to employers and workers who have lost their jobs or who have suffered a temporary work stoppage as a result of a natural disaster. DUA is now available to individuals in the designated disaster areas who are unable to work during the period September 10, 2017, through March 17, 2018, as long as the individuals’ unemployment is a result of Hurricane Irma. To file a claim, please go to the Florida Department of Economic Opportunity’s website at www.floridajobs.org or call them at 800-385-3920. Applications must be filed by October 16, 2017. The Florida Department of Revenue has extended the filing dates for sales and use tax returns and payments due for the August reporting period to September 29, 2017. This order applies to all 67 counties. Sales and use taxes and returns are normally due on the 1st day of the month, and late after the 20th day of the month. Electronically-filed submissions initiated by 5:00 p.m. on September 28, 2017 will be deemed timely filed. Corporate income tax filers whose original filing due dates or extended due dates fell between September 4, 2017 and January 31, 2018 will not have until February 15, 2018 to file their corporate income tax return and make the tax installment payments. This extension applies to all 67 counties in Florida. The IRS is postponing some deadlines for taxpayers who reside or have a business in Florida. For instance, certain deadlines falling on or after September 4, 2017 and before January 31, 2018, extended through January 31, 2018. This includes taxpayers who had a valid extension to file their 2016 tax return that was due to run out on October 16, 2017. It also includes the quarterly estimated income tax payments originally due on September 15, 2017 and January 16, 2018, and the quarterly payroll and excise tax returns normally due on October 31, 2017. The Florida Department of Business and Professional Regulation is responsible for regulating and licensing a number of professions in Florida including many construction contractors. The link below contains information on how to prevent becoming a victim of unlicensed activity and also verifying the license of contractors before you hire them. In the aftermath of Hurricane Irma, many property owners in Florida will need to hire construction contractors to repair/rebuild their structures. The Disaster Contractors Network is an online tool funded by revenue from local building permits that allows contractors and building materials suppliers in Florida to get their name out to property owners needing construction services in the aftermath of storms or other natural disasters. By registering free of charge on the Disaster Contractors Network, contractors and suppliers can advertise to the general public what type of goods and services they offer and connect with property owners needing those services in rebuilding/repairing their property after the storm. If the services that a contractor provides require a state license (such as roof repairs, plumbing repairs, or electrical repairs/rewiring), the system will not allow an unlicensed contractor to register. However, the system will allow contractors performing work that does not require licensure (such as tree trimming, debris removal, drywall, and painting) to register for those services. To register on the Network, contractors can go to www.dcnonline.org and enter their business name, contact information, and type of services they provide. Property owners needing services can go to the same website, enter the county they are in and search for the specific construction services or supplies they need. Both services are free of charge. The Florida Department of Business & Professional Regulation has issued an Emergency Order in response to Hurricane Irma that allows state-licensed Division 1 contractors, including general contractors, building contractors, and residential contractors, to perform roof installation and repairs for wood shakes, asphalt & fiberglass shingles, tiles, metal, and flat roofs within their respective contracting scope. The Order also allows building departments, if needed, to issue local specialty roofing licenses to roofers who are qualified in other localities within the State. Applicants for a specialty roofing license must provide an affidavit of competency from their original jurisdiction and proof of required insurance, including workers’ compensation. These specialty licenses would be subject to local disciplinary oversight like other local specialty licenses. This Order only applies to the Florida counties in which a disaster has been declared. The Florida Disaster Emergency Loan Program provides a source of cash to Florida small businesses that have been physically and/or economically impacted by a storm. These short-term, interest-free working capital loans are intended to “bridge the gap” between the time a major catastrophe hits and when a business has secured longer-term recovery resources, such as sufficient profits from a revived business, receipt of payments on insurance claims or federal disaster assistance. Certain counties in federally declared disaster areas are eligible for two business loans from the Small Business Administration. Business Physical Disaster Loans – Loans to businesses to repair or replace disaster-damaged property owned by the business, including real estate, inventories, supplies, machinery and equipment. Businesses of any size are eligible. Private, non-profit organizations such as charities, churches, private universities, etc., are also eligible. The deadline to apply for this loan is 11-9-17. Economic Injury Disaster Loans (EIDL) – Working capital loans to help small businesses and most private, non-profit organizations of all sizes meet their ordinary and necessary financial obligations that cannot be met as a direct result of the disaster. These loans are intended to assist through the disaster recovery period. The deadline to apply for this loan is 6-11-18. The maximum amount that can be borrowed under these loan programs is $2 million. Due to Hurricane Irma, the Florida Office of Insurance Regulation has issued an Emergency Order that protects most types of insurance policies from being cancelled from September 4th to October 15th. If your workers’ compensation insurance policy is issued through FUBA and your policy was scheduled to cancel during this time period, we have reinstated your policy and mailed you a Notice of Reinstatement. Please note that premium will be collected on the new policy period. If you have any questions, please call our Policy Services department at 800-262-4483. Florida Chief Financial Officer Jimmy Patronis has extended the continuing education deadlines for licensed insurance professionals in Florida. Continuing education deadlines are set by the licensee’s birthday month, and any licensee with a deadline in September, October or November will now have an extended deadline of December 31, 2017, to complete their continuing education requirements. The extension applies to all insurance professional licensees that require continuing education, including insurance adjusters, agents and customer representatives. No form or application process is required to be approved for this extension. The Department of Financial Services’ Division of Insurance Agent & Agency Services is updating its online database to automatically reflect the updated deadline. To learn more, visit www.myfloridacfo.com/Division/Agents. Operation Blue Roof is a Federal Emergency Management Agency program that provides a temporary covering of blue plastic sheeting to help reduce further damage to property until permanent repairs can be made. This program is only available in certain Florida counties. The National Center for Disaster Fraud (NCDF) is the result of a partnership between the U.S. Department of Justice and various law enforcement and regulatory agencies to form a national coordinating agency within the Criminal Division of the Department of Justice to improve and further the detection, prevention, investigation, and prosecution of fraud related to natural and man-made disasters, and to advocate for the victims of such fraud. Insurance experts are available to assist home and business owners with all insurance-related questions and concerns from 8 a.m. to 5 p.m. ET Monday through Friday. Suspected fraud can be reported via the Helpline. Buying a house is a very personal matter for both the buyer and the seller. Parties often rely on the expert help of a real estate professional in order to navigate the often confusing ins and outs of the process. What happens when that relationship turns sour? Consider the following. A young couple is house hunting for their first house — in hopes of getting a fixer upper they can make their own. They purchase an updated property that showed no clear signs of termite damage. The house they purchased was advertised as a “handyman” special. After closing, the couple immediately started on repairs they expected to be mostly cosmetic. When remodeling the living room, they took down drywall and found prior termite damage. The couple filed suit against the sellers, the seller’s agent and their own agent for failing to disclose information. That’s just one of many examples of situations in which real estate professionals can find themselves in hot water. Knowing the most common ways real estate agents get sued, and how to protect your clients from lawsuits is essential. If clients find defects in the property after signing the papers, they can be quick to blame the agent. Encourage your clients to perform a thorough inspection on each property and document every bit of damage. 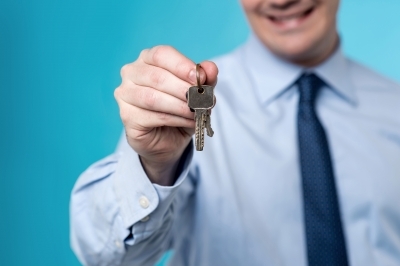 Clients often expect that their real estate agent has the answer to every question they ask. On the same note, agents want to help their clients to the best of their ability. However, it is important to remember that most states consider it illegal for a real estate agent to give tax or legal advice. It’s natural for agents to want to make their property stand out from the crowd. Agents may feel the urge to exaggerate about certain features the house may have, or the condition of the property itself. Explain to your clients that they should not exaggerate about features or conditions of the house when selling the property. Hackers want personal information. If they get it — your client will be the one who pays. Install security software and keep paperwork in a secure place in order to avoid data breaches. Additionally, make sure to encrypt data and change your password frequently. Buyers trust the opinion of a real estate professional, but often times there are things agents may not know about the property. Make sure your clients recommend that buyers get inspections before purchasing a property. If agents are found liable for an injury a client sustains at a showing, they will be responsible for reimbursing any accident-related costs. Before showings, make sure debris is picked up and any snow or ice is shoveled and melted. That there are ways you can protect yourself from financial loss resulting from claims. Real estate professionals should be covered by an errors & omissions policy to protect themselves and their business. The experts at Bob Lancaster Insurance are here to help you find e&o coverage that fits your needs. Contact us today! By 2030, more than 60 million older adults could be driving on the nation's roadways. But don't expect many more states to put added restrictions on their ability to get behind the wheel. Legislatures have become increasingly reluctant to restrict driver's licenses for seniors or impose extra requirements - such as vision or road tests - for getting them renewed based solely on their advancing age. That's partly because older people are generally considered safe drivers, more programs exist to improve their driving skills, and recent studies have shown that many of the restrictions aren't as effective as once thought in preventing traffic fatalities. It's also because a politically powerful group of advocates for seniors and motorists, such as AARP and AAA, argue that age shouldn't be used as the sole measure of an older person's fitness to handle a car. "We believe that driving is about the ability and health of the driver, not their age," said AARP spokeswoman Kristin S. Palmer. "We can't stereotype older drivers." Jonathan Adkins, executive director of the Governors Highway Safety Association, which represents highway safety offices, said another reason many legislatures have not passed age-based restrictions lately is that society has changed the way it defines "old." Being 75 isn't what it used to be, because people are more active and live longer than previous generations. "We just elected the oldest president ever," Adkins said, referring to Republican President-elect Donald Trump, who is 70. Many states place some sort of restrictions on seniors when it comes to renewing their driver's licenses, whether it's requiring vision screening, making them renew their licenses more frequently, or demanding they show up in person at the Department of Motor Vehicles to renew their licenses. But most of the restrictions were approved at least several years ago. In recent years, efforts to impose restrictions often failed. Legislatures in more than a dozen states considered legislation affecting older drivers in the last two years, but only a handful of bills passed, none of them controversial. And some enabled more people to get licenses or gave them breaks based on their age. For instance, a measure in South Carolina allows people with certain vision problems to get or renew a license if they use a special device on their glasses. One in New Mexico lowered the eligibility age to 50 for drivers to qualify for reduced insurance rates if they take a driver's education course. In contrast, Vermont lawmakers killed a bill that would have demanded drivers 65 and older pass vision and road tests in order to obtain or renew their license. Tennessee lawmakers killed one that would have required people 76 and older to take a vision test. But the fact remains as people age, their vision, hearing and reflexes often deteriorate. And states are faced with trying to balance ensuring the safety of older drivers and others on the road with not discriminating against people just because they are getting older. "Age should not be the issue. It should be your ability to handle the car and drive safely," said Jurek Grabowski, research director for the AAA Foundation for Traffic Safety, a nonprofit research and education group. The nation's senior population is projected to explode as 75 million baby boomers grow old. And traffic safety experts expect the number of at-risk drivers will also grow, as all indications are aging boomers who grew up behind the wheel want to continue to drive. In the early 1970s, barely half of Americans 65 and older held a driver's license. Nowadays, 84 percent do. By many measures, they have a good driving safety record. Seniors typically follow the rules and wear seat belts, observe the speed limit, and don't drink and drive, auto safety analysts say. Their crash rates have continued to drop over the years. And they are less likely than previous generations of seniors to be in a crash or to be killed or seriously injured in a crash because they're generally healthier and cars are safer. But older drivers are at higher risk of crashing than middle-aged people because of declining vision, hearing and cognitive ability and medical conditions that could affect their driving. When they are involved in a crash, they are more likely to be injured or killed than drivers in other age groups. "Usually, if someone dies, it's the older driver or their passengers, who tend to be older," said Jessica Cicchino, a vice president at the Insurance Institute for Highway Safety, a nonprofit research group funded by auto insurance companies. In 2014, 5,709 people 65 and older were killed and about 221,000 were injured in crashes. Older drivers also are more likely than younger ones to be involved in certain types of collisions, such as crashes at intersections or those caused by failing to yield, according to the Insurance Institute. States vary considerably in what they require of older drivers to renew a license. Nineteen have shorter renewal periods for drivers over a certain age, according to the Insurance Institute. Eighteen demand more frequent vision screening. And 15 states that allow drivers to renew by mail or online don't offer that option to older drivers. Illinois has one of the strictest renewal requirements of any state. Drivers 75 and older must take a road test to renew their license. It's the type of law that AAA opposes. "Many states have bills introduced seeking that. We spend a lot of time combating it," said Jake Nelson, AAA's traffic safety director. "It's bad policy and it doesn't enhance safety at all." Many age-based requirements haven't proven effective, studies have found. Only two have been shown to reduce fatal crashes: making drivers 85 and over renew in person and requiring people in that age group to take a vision test in states that don't make them renew in person, said Cicchino of the Insurance Institute. Fatality rates for drivers 55 and older are no lower in states that mandate road or written tests or shortened renewal periods for older drivers, she said. Some states, such as Alabama and Kentucky, impose no age-based requirements on older drivers. Others actually give them a break. Oklahoma, for example, reduces the license fee for drivers age 62 to 64 and waives it entirely for those 65 and older. Some groups that oppose putting restrictions on older drivers based solely on their age endorse broader policies aimed at improving safety on the roads. AAA, for example, thinks all drivers should take a vision test when they renew, either at a DMV or at a doctor's office. And it views the renewal process as a good way for DMV staffers to observe drivers to see whether they may have physical or mental impairments that could affect their driving ability. "This isn't about senior drivers, it's about detecting at-risk drivers," said Rich Romer, AAA's state relations manager. For seniors who might be a danger on the roads because of certain physical or mental conditions, both AAA and AARP support the concept of medical advisory boards that set standards for state licensing agencies and assess at-risk drivers' ability to get behind the wheel. At least 38 states have set up some kind of advisory board. "If you come to our attention and you should not be on the road, we have a process to get you off the road very fast," said Dr. Carl Soderstrom, the chief of Maryland's Medical Advisory Board. "The fact that we have taken the licenses away from thousands of very unsafe people over the years says the program is working." Driving is an important way for older adults to remain independent and mobile, experts on aging say. Without a car, they can grow isolated and depressed, and their physical and mental health can deteriorate. Instead of driving themselves, some may turn to taxis or ride-hailing companies such as Uber and Lyft, or eventually, self-driving cars. Others may rely on volunteer driver programs or public transit. "We want to get away from the idea of taking away mom and dad's keys and focus on other alternatives to keep them mobile," said Adkins, of the governors' highway safety group. "But you also don't want to take away their mobility and independence if they could be driving safely." AAA and AARP have created driver refresher classes for older adults to help them stay safe on the roads. AARP's "Smart Driver Course," offered in classrooms or online, teaches strategies for reducing the likelihood of a crash and making adjustments to compensate for the effects aging may have on driving. The group runs about 30,000 courses a year and trains about half a million drivers, said Palmer, the group's spokeswoman. At least 34 states plus Washington, D.C., have passed laws allowing auto insurance companies to provide a premium discount to seniors who complete a state-approved driver safety course in a classroom. A number of advanced technologies, such as collision warning systems and rearview cameras, also can help seniors drive safely for a longer period of time, a 2015 AAA Foundation report found. But all the bells and whistles on new cars can be a distraction for some older drivers. That's why auto safety groups also recommend that transportation agencies take action on their own, by making letters on road signs larger, making pavement markings more visible, and adding left-turn lanes and signals at intersections. Another possibility: reconfiguring intersections as roundabouts, which reduce speeds and eliminate the complexities of turning at intersections. "These are simple fixes to the roadways that states actually can make that can prevent older drivers' deadliest crashes," said the Insurance Institute's Cicchino.